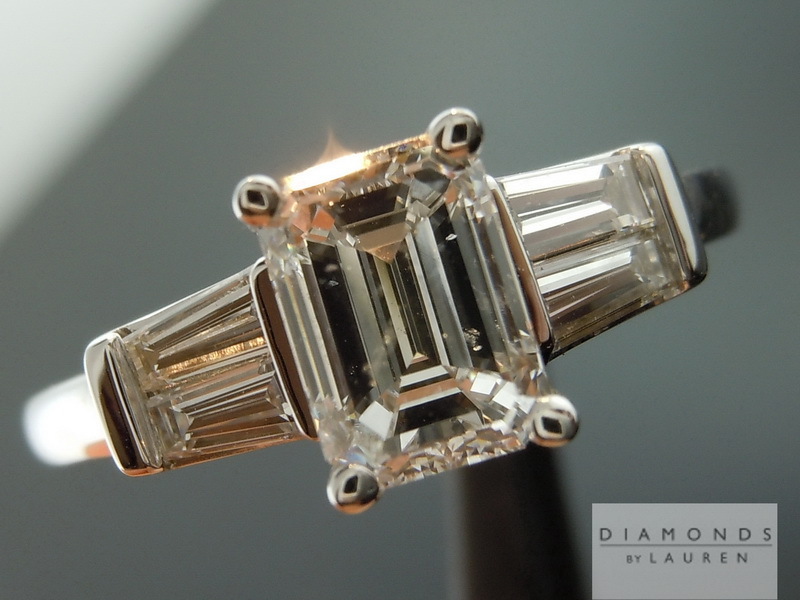 This diamond is cut beautifully - that's what first caught my eye. Amazing sparkle, and graceful proportions. Oh, and it's an E color! So very white. Our cutters know how to do it right. This particular diamond was sourced and cut in Russia. Amazing step cut from the steps. 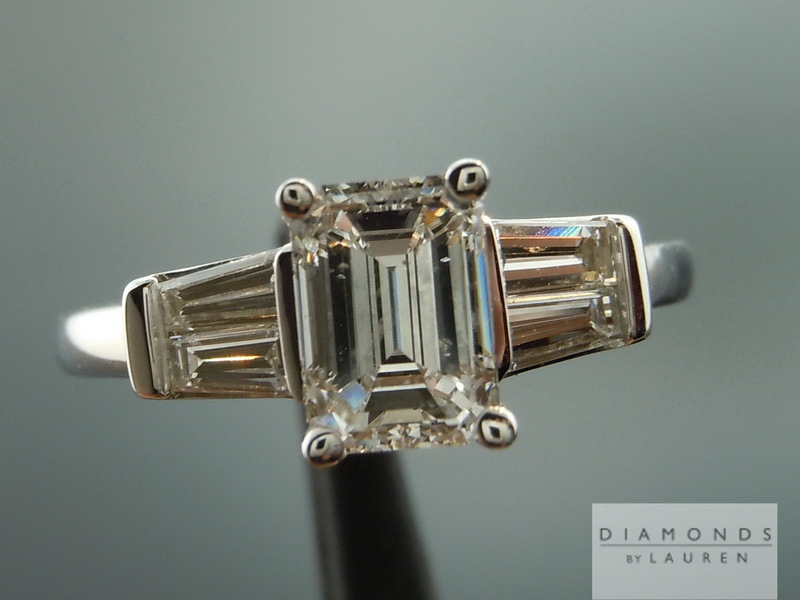 This setting is our classic double baguette mounting done in 14 karat white gold. I love that this ring is modern, yet classic all in one. The overall finish of the ring is wonderful. Everything is smooth to the touch. 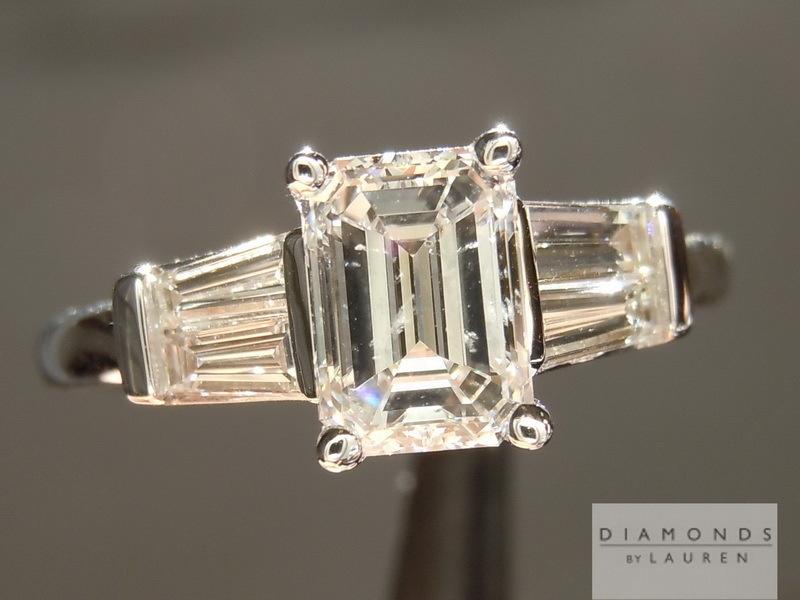 The baguette diamonds on the side, being the same icy white color as the center, really added to the whole cachet of the ring. The shank is done in white gold and adds a lovely look to this ring. The ring is very well made. The shank is substantial, yet extremely comfortable to wear. An I1 Clarity Diamond is not for everyone – but it does offer you nice economy. 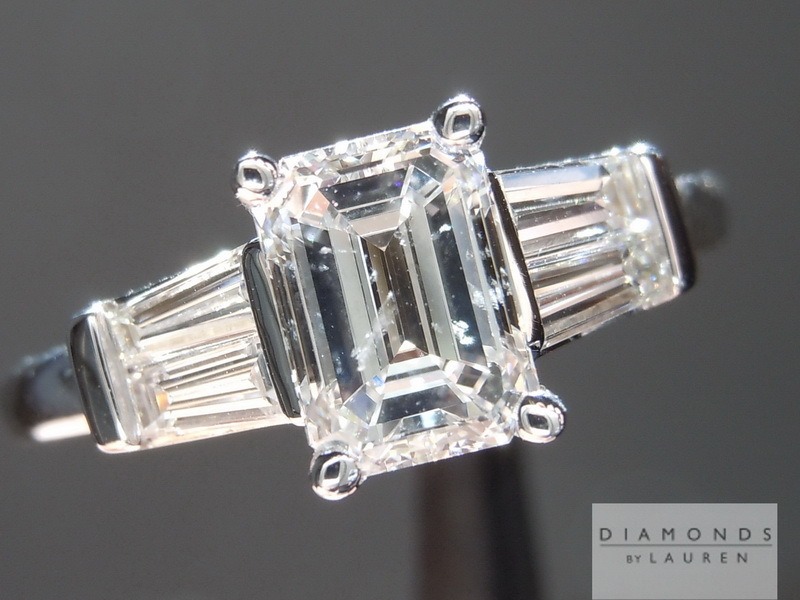 The fact that is an I1 diamond does not affect our trade up policy or our refund policy.